Many people ask the question: What is the Paleo Diet? The Paleo Diet is pretty simple. It comes from the Paleolithic era when cavemen were hunting and gathering their foods. This diet is also called the “Hunter-Gatherer Diet”, the “Caveman Diet” and the “Stone Age Diet”. Men from the Paleolithic era would eat meats they hunted and raw foods they were able to find until agriculture was developed. After which man started to eat dairy products, grains and legumes, along with refined and processed foods. The Paleo Diet, of today, follows close to the same layout of which foods to eat and not to eat. It is believed that our bodies are still very similar to those of the paleolithic man – we are not able to digest the foods we have now incorporated into our diets since the paleolithic age. Also, the caveman diet is a healthier way to live. With the diet, you can avoid diseases and feel stronger, healthier, and more energetic. What is the Paleo Diet history? 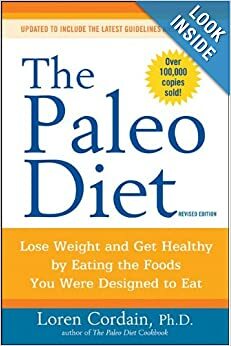 In the 1970’s a man named Walter L. Voegtlin wrote a book on the paleo diet. He wrote about how the caveman was a carnivore and that the modern man is the same. Voegtlin suggested that we should eat fats, protein, and a few carbohydrates to be healthy. As a gastroenterologist, Voegtlin, based his information on his own medical treatments of indigestion, irritable bowel syndrome and a few others. 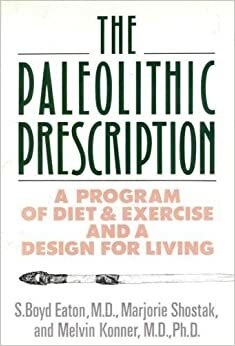 After Walter L.Voegtlin published his book in 1985, the New England Journal of Medicine published a paper that talked about the health benefits of following the paleolithic diet. 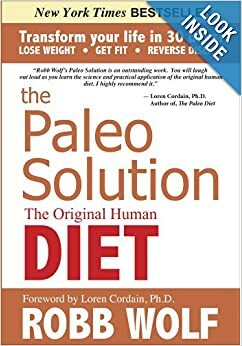 Throughout the 1980’s, books and papers were published about the paleo diet and what it consisted of. In one particular book there was even a lenience on the ability to eat skim milk, whole wheat bread, brown rice, and potatoes without fat. This book was published by S. Boyd Eaton, Konner, and Marjorie Shostak in 1988. 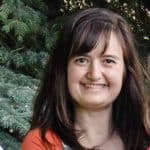 Since then, the Paleo diet has become very popular and some doctors or nutritionists have recommended this diet to people with diseases, intestinal problems, or other bodily malfunctions. Although the paleo diet mainly consists of meats, fats, and carbohydrates (fruits and vegetables), some people have allowed the consumption of specific foods within this era. What’s in the Paleolithic Diet? 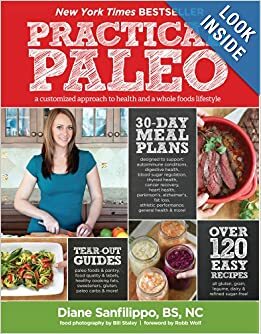 The paleo diet usually consists of eating 19- 35% daily value in proteins, 22–40% in carbohydrates, and a fat intake of 28–58%. Meats consist of those that can be hunted and don’t have any additives, for example grass-fed beef. Offal, seafood, seeds, vegetables, fruit, eggs, mushrooms, herbs, and spices are a part of the diet, as well. Foods that are not considered paleolithic are: grains, legumes (e.g. beans and peanuts), dairy products, refined salt and sugars, and processed oils. Why is the Paleo Diet healthy? Nutritionists, physicians and others have agreed that the Paleo Diet is full of nutrition. The Paleo Diet has lots of minerals and vitamins that can boost the immune system. It can help to prevent diseases and chronic illnesses such as obesity, cardiovascular disease, high blood pressure, type 2 diabetes, osteoporosis, as well as irritable bowel syndrome, and many others. With the Paleo Diet you can gain energy, lose weight, and just feel healthier and happier about yourself. 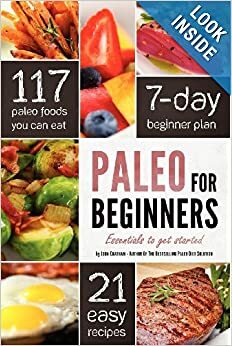 People who have tried the Paleo diet have found the cross-fit exercise or other exercises, in addition to the diet, very helpful in losing weight and to keep feeling healthy. What is the Paleo Diet? It is the caveman way of eating healthy and getting all the flavor and nutrients you need. It is a diet that is becoming more and more popular as people try it and discover the benefits of eating paleolithic-type foods. What are the Cons of the Paleo Diet? This Paleo Diet can cost a lot of money. This diet is low on calcium with an average 700mg per day, where the recommended amount is 1300mg maximum, and no dairy can be bad for your bones. Beans and legumes are high in protein and low in fat, but cannot be part of the Paleolithic Diet. There also may be too much red meat in the Paleo Diet, which can be bad for the heart and lead to a higher heart risk. This diet recommends quite a bit of fish which can be bad if you are allergic, but there are plenty other meats to eat within this diet. There is very little vitamin D so you’ll have to sit in the sun (for 5 to 30 minutes) or take a supplement. You might have to take some vitamin supplements if you do not get enough nutrients through the limited amount of foods. I’ve been researching healthy eating with Paleo for a while now. I’ve been trying to eat much more nutritiously and create a healthier environment for myself and my family! Thank you for your posts and sharing your experiences!!! You’re welcome. I’m glad you found us. Please come back soon! I have a question. If one cannot eat grains, wheat and flour on this diet, how does one prepare things like brownies and pancakes? I ask because I’m on a low carb diet. However, I do eat lot of fruit nuts and yam. Anyway, sometimes I get tired of limiting myself. I’d like a wider variety of foods. I am still trying to figure the Paleo Diet out. I think I have been on it for a long time – only thing is that I also included legumes. I will need to take a closer look at what I can not have (then of course have a sudden want for it – lol) and give it more of a whole hearted go. I’ve had such great results with the Paleo diet! So glad to see it featured on your site!